Title/Author: Salem’s Lot by Stephen King. Favorite quote: “The town cares for devil’s work no more than it cares for God’s.” ~Narrator. My Thoughts: I remember reading this a long time ago and when I saw the audio version in my library I wanted to listen to it. I appreciated the foreward read by Stephen King himself and his memories of Dracula which ultimately led to the writing of Salem’s Lot. King had read Dracula as a child and then again as an adult when he had to utilize it for a college literature class he taught. He mentioned that he was afraid it would not hold up as an adult for him, that the impact would be lessened, the horror watered down, but that did not happen. I’m paraphrasing here, but he said that great novels “only get bigger, their shadows longer.” I love how he compares Dracula to Lord of the Rings. In both, a band of adventurers go on a quest. 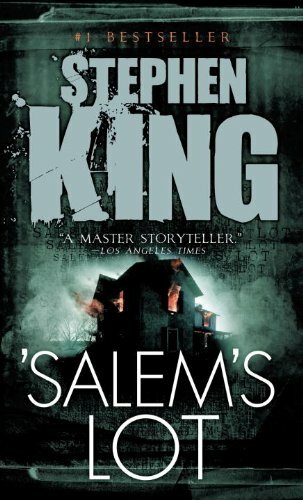 King also mentions that Salem’s Lot is an inverted Dracula. In the Victorian Era, when technology is budding, the characters are hopeful that their “scientific” minds can conquer that old evil. 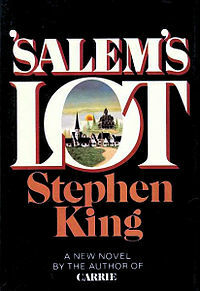 In Salem’s Lot, the technology is taken for granted and King points out that the "...bright lights of the present shine on the monster so everyone can see him." So what would people in a modern society do if a vampire (an evil one, not a sparkly one) moved into the midst of their town? Would they be too blind by their civilized sensibilities to see the horror? Would they let reasonable explanations blind them to primitive dangers until it's too late? Salem's Lot explores these questions. 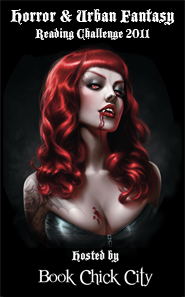 I'd love to take a class where Dracula and Salem’s Lot are analyzed and compared. I can see the slow, careful buildup in each, the despair and fear and the triumph although in a way I may argue that the triumph is in part hollow. Both also used media and records (newspapers, reports, hospital admitting records, television newscasts) to give a feeling of reality and authenticity to the strange occurrences. 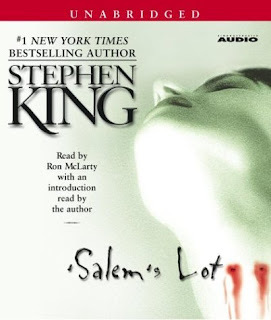 As I listened to Salem’s Lot, I couldn’t help but think that Ben Mears stands in for Jonathan Harker, Susan Norton; Mina Harker, perhaps Matt Burke is the modern Van Helsing and Jimmy Cody; Dr. Seward. A different cast of brave adventurers going forward to fight evil. I remember the book being easier to read than to listen to. It is pretty wordy with a lot of backstory and I felt it included more than I needed to know. On the other hand, I also feel the details worked to get me entrenched in the story, the character's minds and to stay there. This was written in the 70s and it’s King’s second published novel. 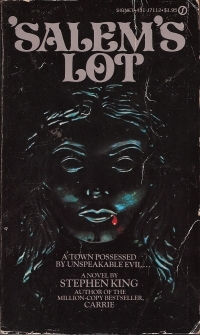 I think that reading Salem’s Lot is a step back in time, a retro-novel, almost a refreshing change of pace from today’s action packed stories where the writer or director is so afraid of boring his subject, of losing their attention that they follow today’s frenzied formula. It’s a bit dated but still stands strong. The narrator, Ron McLarty, did a good job. His pace and tone lend itself well to the tone of the book. I had a slight problem with his interpretation of Susan, but I can hardly blame a male for not sounding exactly like a female. My favorite parts that he read is the expositions about the town. The foreboding and menace brought it to my attention that Jerusalem’s Lot is a character as strong and powerful as the human ones that populate it. The promise of affluence and progress in "The Lot" deteriorated into a dreary landscape and the citizens followed. There are all kinds of people that have lived and still live in Jerusalems Lot. Murderers, gossips, cheaters, boozers. Desperate people trying to live and be happy in a desperate town. The people who are more moral live a content if uneasy existence or fantasize of escape. The town lost its grip on the American Dream and the citizens soon followed. The story evokes sadness, horror and despair whether the events are supernatural or not. Mr. Glick’s meltdown at his son Danny’s funeral, (his cries that his son “ain’t dead” strike me as ironic), Danny at Mark Petrie's window, Sandy McDougall hitting her child, Mike Ryerson baiting Matt Burke, Straker's punishment and Father Callahan's loss of faith and his debasement. These depressing and frightening images are powerful. Some I had recalled from reading the print book and some were brought to life in the 1979 movie and then the 2004 movie. Listening to it again has stamped even more scenes into my head and while I don't really get scared by horror books or movies, many of these scenes sure are scary. I think one reason is it's so frightening is that it's not just the mysterious stranger who is the monster. It's the character's friends and neighbors, and you're not exactly sure who is going to become a monster next. I became invested in the people's lives, rooted for them and hoped for them. Sometimes in vain. There is no happy ending in Salem's Lot. Although the vampire is dispatched, the catastrophic events will never leave the players who have endured and witnessed them. Similarly, it is a story I have never forgotten and don't think I ever will. Sorry it's been a while since I've visited with you. I read Salem's Lot back in the 70s I think, whenever it first came out. I was truly affected by reading it and then when the movie came out it was really frightening. Stephen King is a gifted writer who has the ability to just grab a hold of you and not let go. Awesome review. I am sorry to say that I will probably never read anything by Stephen King. Even thinking of him scares the CRAP out of me. Haha. Reading your review had solidified that for me. I a chicken... Haha. Great post. Your review makes me seriously want to re-read Salem's Lot. I love Dracula, too. Maybe I should reread them together? I have such a sentimental attachment to this book, it was the first book I ever bought myself with my own money from my first part-time job. It's been years since I've read it, but I remember the priest's admittance of his loss of faith as particularly poignant. Your review has made me want to pick it up and give it a re-read, I do wonder if it will be as brilliant for me as I remember it being! @Bonnie-I agree that King is a gifted writer. So many of his books have affected me. @Sara-King has written other kinds of stories as well, you should check some non-horror stories of his out! @Missie-I can understand that, but the meat of the story and scary parts made it worth it to me. @Jennifer-That would be cool to read them together. @mummazappa-That is a cool story. I agree w/you regarding that priest and his loss of faith. I've always wanted to read more King. This one is a popular King novel and your review definitely piqued my interest! 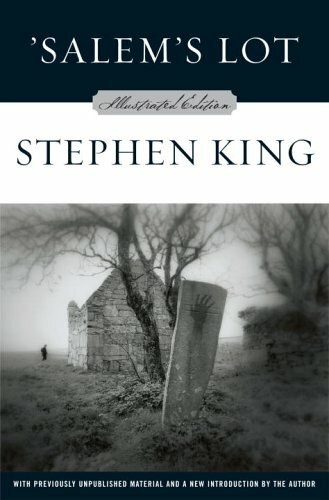 Fine review of a great sophomore novel by Stephen King. I read, like Bonnie, 'Salem's Lot' back in the 70s. It's the only book of his that actually gave me a nightmare. Ron McLarty is one of my favorite audiobook narrators and so I did this audiobook two years ago. His reading made it feel fresh again, at least for me. Well done.